So What Exactly Is Deadpan Photography? 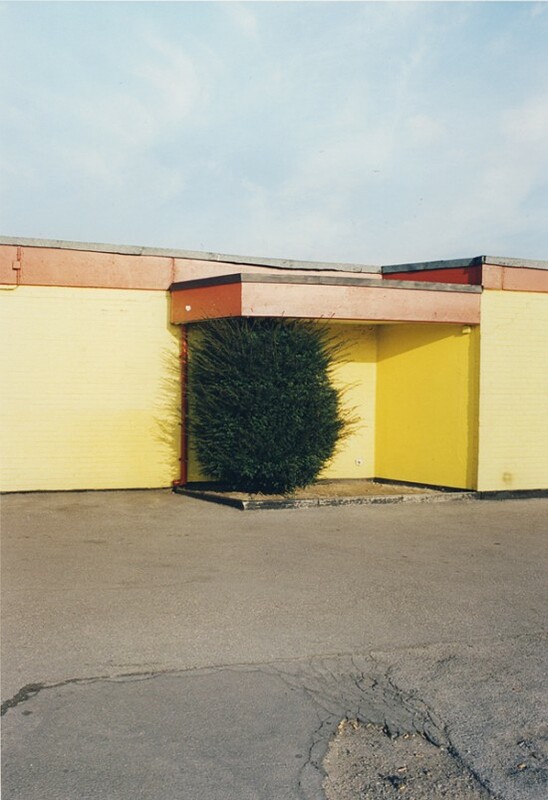 Home » Photography » So What Exactly Is Deadpan Photography? First, let’s speak about what exactly a ‘deadpan’ photograph is. While there are a handful of different definitions, the most popular is that a deadpan photograph is devoid of emotion. It simply exists as a subject and photograph, yet it seems to be empty. There is no joy or sorrow, although some can argue that the deadpan itself is a mood of its own. Famous photographers who use this aesthetic seem to be completely detached from the subject that they are photographing, and the word ‘indifference’ seems to describe the photograph perfectly. There are a handful of aesthetics that you should be aware of when determining whether or not a photograph is considered deadpan, or if you are planning on creating your own series of deadpan photographs. Most commonly, the subject is in the center of the image, and the photographer is looking at the subject straight-on. There is no fancy camerawork involved here. The photographer is not laying on the ground, or standing on a ladder to distort the subject any which way, it is simply pictured exactly as you’d see it if you walked right up to it in real life. The deadpan photograph simply says “this is how things are”. Deadpan portraits show people in their natural state, typically not showing any sort of emotion. These subjects are not posed, are not dressed up for the occasion, and seem completely honest. The color of deadpan photographs is commonly de-saturated. While not completely devoid of color, the colors tend to be muted. So what purpose does this type of photography have? Why would photographers want to show these people or landscapes in such a mundane light? Many famous deadpan photographers choose this aesthetic to capture changes in the world around them, to generate questions that the viewer keeps in mind, or to provide an image that allows a non-biased relationship between the viewer and the subject matter. Czech photographer Jitka Hanzlova, in her series “Here”, captures small moments in Germany that many people would walk by without ever noticing. A run-down building, a stoic young girl, an empty soccer field. Because of the deadpan quality of the photographs, she offers no personal interpretation, no peek into her every day life. The viewers are left with a sense of unease and unfamiliarity, which are two emotions that are common in this aesthetic. Throughout the series you get the vague notion that the photographer is viewing these same landscapes and people with the same apprehension, trying to make sense of this new foreign land. Born in the Netherlands, Rineke Dijkstra is famous for her many different series of deadpan portraits. While technically and compositionally her portraits are very simple – they tend to showcase one individual, shot straight-on in the center of the frame – the meaning behind the images is not as straightforward. Many of the individuals she chooses to photograph are in a state of transition. They may be transitioning from childhood to adulthood, they may be pregnant, or they may be preparing to join the military. While the exact details of their life and personality are left out, this only makes the photographs even more compelling. Who is this person? What kind of life are they living? Why did she choose to photograph them in particular? 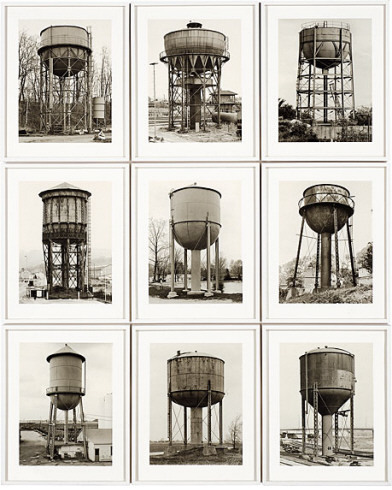 Perhaps two of the most famous deadpan photographers in history, Bernd and Hilla Becher became famous through their typological deadpan photographs of water towers, coal mines, industrial landscapes, grain elevators and gas tanks. Their many different series of photographs offer a look into the industrial past of the world, and showcase landscapes and subjects that cannot be seen as readily in the world today. While many viewers may see the images as lacking substance or meaning, their work resonates with many people today as a typology of a world that no longer exists. Alec Soth has an incredible way of creating engaging images while at the same time seeming disengaged with his subjects. He photographs a mixture of still lifes, portraits and landscapes, and in each image a sense of distance is so tangible you can almost feel it. He photographs people who seem as though they have worlds of stories to tell, yet the photographs of them speak nothing about these stories. His strange abandoned landscapes and forlorn subjects offer lots of questions but no answers. The result is a series of striking images that the viewer cannot draw themselves away from, no matter how many of their questions go unanswered. Instead of drawing away in frustration, the viewer simply looks deeper. While deadpan photography is not for everyone, it offers an interesting way of looking at the world in a completely un-biased way. While many photographers choose to pose their subjects and distort the images to create a certain mood or tell a specific story, those who choose to share their world through deadpan images offer an honest look into the everyday life of people and scenarios that all too often go unnoticed.